Last year I gave you three sci-fi/fantasy recommendations. This year I'm going with all-out, classic beach reads - let's talk about mysteries! (I hope you didn't think I was going to say romance. I am not the Lady to go to for those.) I actually don't read that many detective stories, even though love watching them. In part this is because I burned through pretty much every Sherlock Holmes and Hercule Poroit short story in one giant burst in my early teens - after a while the formula that these stories follow can lose its charms and become too predictable. Additionally, many modern mysteries are variations on the tortured detective hunts down brilliant serial killer motif, and for some reason too much psychology and gore makes me snoozy, as evidenced by my managing to fall asleep to nearly every episode of the first season of Hannibal. And yet - I really, really love puzzles, and isn't that the heart of any good detective yarn? So here are three books that are all about puzzles, but they subvert the traditional detective narratives. One isn't even, technically, a detective story - but it is all about a puzzle to be solved, and it is very summery, so I included it here. To be honest, it was really hard to write a quick synopsis of this book, because the plot and the case are really secondary to the story Lutz is telling. 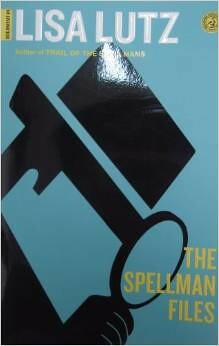 The Spellman Files is really about the Spellman family and their extreme quirks. As a narrator Izzy is charmingly flawed - a little bit nuts but well aware of that fact. She's also tough and capable, nice to see in a heroine; even when she's trying to win over a guy I never got the sense that relationships defined her. 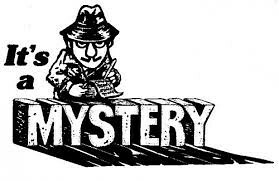 The mystery itself isn't too complex - I solved it before Izzy did. That said I appreciated that Lutz actually wrote a mystery that could be solved, providing sufficient clues in the narrative for the reader to guess what happened. Over all this is a light, fun and funny book, perfect for a sunny beach or rainy campsite. Recommended for: Former Harriet the Spy devotees, Wes Anderson film lovers Steer clear: If you love a pure mystery. This is way more about a wacky family than anything else. Claire DeWitt is the world's greatest detective. She's also got a bit of a drug problem, a lot of trouble with the TSA, and even more trouble holding on to clients. Claire's method of solving mysteries is a bit unorthodox, you see. She's a devotee of Jacques Silette, a French detective who wrote a book , Détection, an esoteric manual to solving mysteries, as an explanation of why detectives are drawn to solve them. Détection is Claire's bible, but it's obscure more often than it is illuminating. Claire listens to her dreams, consults the I-Ching, and rolls dice in order to get to the bottom of her case - what happened to ADA Vic Willing after Hurricane Katrina hit? Here is a story that in many ways is a dark mirror to The Spellman Files - one in which the mystery is everything, and yet totally unsolvable by the reader. While the answer to the mystery is actually present from nearly the beginning of the story, Claire's methods are all about instincts and omens. We can't be privy to them. But it's a great ride to get there. Claire is even more messed up of a heroine than Izzy - the art of detection has totally consumed her. The story takes place in New Orleans 15 months after Katrina, and throughout the book it becomes clear that there is more than one way to drown, even if you survived the actual flood. Gran's writing is truly lovely, with great twists of phrase, and there's a strong theme of social justice humming through the story. 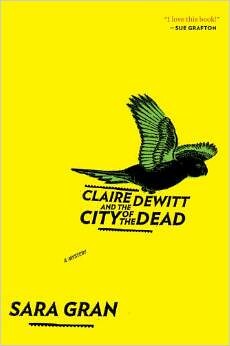 I liked it so much, I've already started the sequel, Claire DeWitt and the Bohemian Highway. Recommended for: Dreamers and obsessives. Steer clear: If you need happy endings. New Orleans doesn't have any for you. Until two summers ago, Cadence Sinclair Easton had a picture perfect life. She spent the school year with her parents in rural Vermont, but her summers were devoted to Beechwood, the private island off the coast of Cape Cod owned by her grandfather. There she had the time of her life with the other "Liars" - her cousins, Johnny and Mirren, and Gat, Johnny's friend and near-stepbrother. The four Liars are inseparable until that summer two years ago, when Cadence's parents get divorced, and Cadence has an accident that she can't remember. Now everything is different between Cadence and the others, and no one will tell her why. It's up to Cadence to remember what happened the night of her accident and discover the truth. 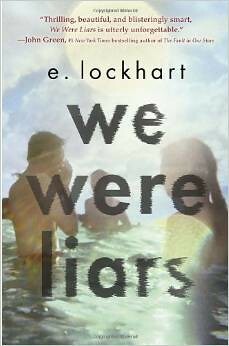 We Were Liars is a young adult book, so it's not a challenging read, but it deals with some heavy and dark subjects quite well. It also takes place on a private island off of Cape Cod, which is quite literally the most summery thing I can imagine. It's also my dream life - who's buying me an island? So there you have it, three mysterious mysteries to cool down your fevered brain and relax with on the beach this summer! What are you all reading? Let me know in the comments - I always need new books!